I just can’t get enough of ginger! He is one of my favorite herbal allies for many reasons. Ginger is aligned with deities like Apollo or Lugh in my mind, sharing that intense, young sun god energy. There is something about the golden, fiery glow that radiates from my center when I consume a potent bite of gingery goodness that is extremely satisfying. I reach for ginger ale or fresh ginger tea when I am feeling sick to my stomach, or if I need to encourage an appetite after an illness. A nice bubbly drink made with honest-to-god ginger extract is an amazing tonic for an angry tummy! I’ve known chemotherapy patients who found a great friend in ginger as they deal with their treatment’s side effects. Ginger assists with easing stomach cramping, encouraging gas release, and increasing bile flow which helps to break down fatty foods and proteins in your belly. One thing to keep in mind is that any increased bile flow can be uncomfortable for anyone with sensitive gallbladders, gallstones, or acid reflux inflammation. While ginger is encouraged for use to help ease morning sickness in expectant mothers, it is suggested that pregnant women do not ingest more than 5 grams per day while in the first trimester. The consumption of large amounts of ginger has been used throughout history to encourage late menstruation. In my family’s traditions, ginger was often reserved for wintertime treats. Everyone loves the gingersnap cookies that I make each Christmas, and my Grandma’s gingerbread with cream cheese icing has much fuss made over it every year. It isn’t just the sugar or the rich decadence that makes everyone crave these spicy sweets during the winter holidays…it is the heat and fire of ginger! Ginger has properties that affect our blood flow, our circulation. It brings a heat to the blood, which can help to break a fever. It also helps to prevent blood clots when added to a healthy diet. It increases circulation into cold fingers and toes, bringing fresh blood and oxygen to tired extremities. This is where ginger gets its reputation as an aphrodisiac. 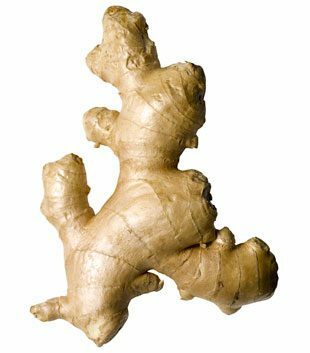 Be aware that due to the blood thinning properties, you should stop any large intake of ginger at least three days prior to any surgery. Any country herb woman worth her salt knows how and when it is appropriate to apply brandy to the situation. I find that a liberal dose of ginger brandy, gently warmed and sipped slowly before bed, will stop a new case of strep throat in its tracks, jump you straight into a clean fever, and work it’s way out in your sweat overnight. A non-boozy method to get ginger into your system is as a tea. (Here’s how!) You can simmer fresh ginger slices and add honey and drink it down just like that, or you can add dried or candied ginger to your teas, as in my Herbal Cough Syrup recipe. I also add it to my Fire Cider recipe. Even if you aren’t fighting infections, you can consume ginger in order to open stuffy, over-pollinated sinuses! The heat of the ginger acts as an effective decongestant. You can even make your own ginger cough drops to soothe the savage throat. Pickled ginger and wasabi are two of the biggest reasons sushi is so popular in my sniffly, sneezy household. Although it is a warming healer, ginger is a pain reliever and anti-inflammatory. This earns it a place in my moontime blends when I am doubled over with cramps. 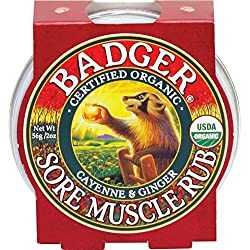 It also works externally – ginger is in Tiger Balm and other achey-painey salves for that reason! Come on, now. Delicious food is one of my favorite remedies, you know! Ginger Citrus Syrup – for cocktails, drizzling on ice cream or adding to fizzy water to soothe your tummy. Ginger Tea – simply made…fresh ginger simmered for a while. Add honey as you like! Ginger Wine – oh, yes. Hot, sweet, and alcoholic, beware of the “Dark and Stormy” that you can mix with this brew! I was sipping my cinnamon ginger tea when I stumbled on this post. Apparently combining ginger, cinnamon and honey is supposed to be particularly good for digestion, bones, heart, teeth hair, and weight loss. It tastes good too. 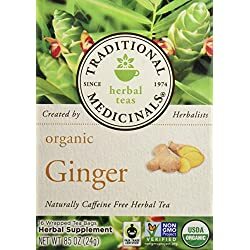 I always made ginger tea for my children when they had tummy bugs. My mother gave us ginger ale when we were ill.
Wow, great timing. 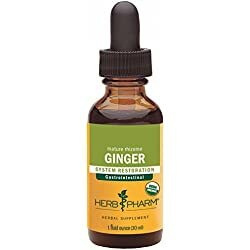 I just had my first all-natural period today, and this post reminded me that ginger used to be the only thing that ever helped my cramps! @Deborah…oh, cinnamon and ginger, how I adore my spicy heat! Ever try “Good Earth” black tea? Whoo! Seriously cinnamon! Great info! Ginger is one of my favorites too and I love to eat it as ginger honey! But I’ve found nothing is better for hangovers than ginger. In particular, ginger beer/ale. You won’t believe me till you try it. It’s miraculous. I love the warming verve of ginger … it finds its way into many drinks and much food, especially in winter! And, yes – ginger honey is something I’ve made – and it is a true delight! Ever had a "dark and stormy"? Thanks for the super great comment! Right now my BF and I are playing Dark Cloud 2 on the PS2! We just got it! Only ten years late! But it is great! We also have two DS and BF played FF Tactics A2 but is interested in playing FF Tactics as well. It is great to know that there is another video game playing herbalist out there!